We'd go with the 328i for the best balance of performance, equipment, and price. Whichever model you choose, take advantage of à la carte options to get exactly what you want without paying for anything you can do without. 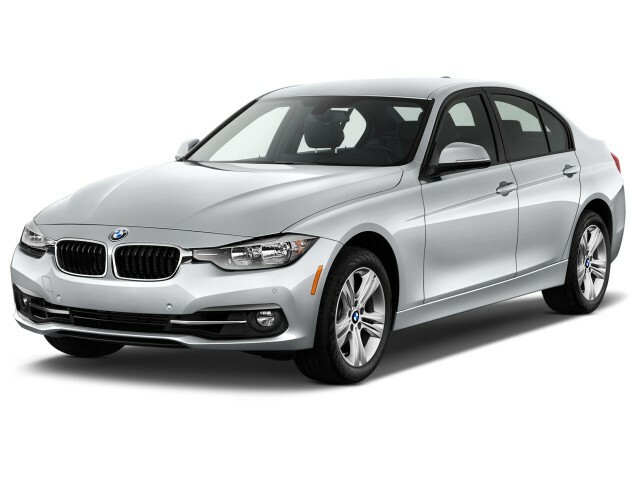 The 2016 BMW 3-Series delivers outstanding performance and comfort in a tastefully understated package. In two years since spinning off coupes and convertibles from the 3-Series to its own 4-Series nameplate, the venerable BMW 3-Series has already grown into its skin. The 3-Series lineup—a pioneer in the luxury compact segment—is already mature with varied powertrains and body styles, ranging from sedans to wagons—even hatchbacks. Each delivers what the 3-Series always has—driving satisfaction both in everyday driving and on curvy mountain roads—yet with better fuel economy than in the past, with most 3-Series cars now returning more than 30 mpg on the highway if you keep it smooth and responsible. 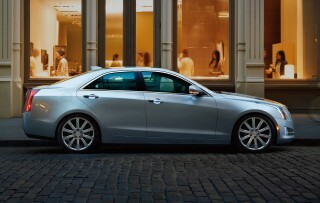 Exterior design is defined by the classic proportions of a sports sedan. The hood is lower at the nose, but rises higher than the previous model thanks to pedestrian safety regulations; the cabin is larger and longer; and we especially like how the greenhouse doesn't get pinched by a rising belt line near the tail. BMW gave the 3-Series a few styling tweaks for 2016. Headlights and taillights have been redesigned with even more distinctive signatures when illuminated. Front and rear fascias were also reshaped. The cabin is spacious for those in the front seat, and there's plenty of room for cargo, but space in the rear seat is still a bit tight for adults. Modern interior design makes good use of compact dimensions, though. Just beware of splashier trim combinations—they can get visually fussy. Often maligned in years past, iDrive has matured into a more usable, if still complex, system, and the available navigation system includes excellent 3-D maps. With the same basic turbocharged 2.0-liter inline-4 as found in the 328i, but de-tuned to 180 horsepower and 200 pound-feet of torque, the 320i is BMW's answer to the Mercedes-Benz CLA Class and Audi A3 sedan. The next step up the ladder is the 328i, rated at 240 hp and 255 lb-ft of torque. The 328d delivers outstanding fuel efficiency with a turbodiesel inline-4 that makes 180 hp. The 340i replaces the 335i at the top of the standard model's pecking order. 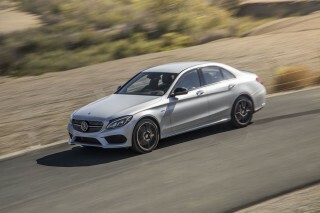 Its new turbocharged 3.0-liter inline-6 produces 320 hp (20 more than the 335i) and 330 lb-ft of torque. It's not yet available, but BMW has announced the 330e plug-in hybrid with 72 MPGe, 75 mph top speed on all electricity, and 14-mile range in full electric mode—or a 5.9-second 0-to-60 mph time. 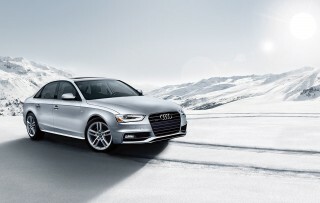 Rear-wheel drive is standard on all sedan models, with available all-wheel drive. An 8-speed automatic transmission is standard, but BMW offers a 6-speed manual as a no-cost option for 320i, 328i, 340i, and 340i xDrive models. A 3-Series delivers balanced handling and dynamics regardless of body style or drive type, but sedans with rear-wheel drive have a slight edge. It's important to note that the 3-Series isn't as sharp as it once was; it has gotten softer and more comfortable, but it's still a capable back-road hustler. The 340i is undeniably potent, but the 4-cylinder turbo in the 328i still offers a lot of speed and fuel efficiency, and working to keep its performance at full boil might make it more fun. A 3-Series Sports Wagon is also available; all wagons come with standard all-wheel drive, and with one of two engines: the same 240-hp unit found in the 328i sedan, or the 180-horsepower 4-cylinder diesel for 328d xDrive Sports Wagon. All 3-Series Gran Turismo models also come with standard all-wheel drive. The 328i Gran Turismo uses the same 2.0-liter inline-4 as the 328i sedan, while the 335i Gran Turismo continues to use the 300-horsepower 3.0-liter inline-6 from last year's 335i. While Gran Turismos look similar to the 3-Series sedans, they're heavier, have softer suspension settings, and drive quite differently. The result is a less sporty but very agreeable family car. The 2016 3-Series sedan was once again crash-tested by the IIHS, and it failed to improve on its "Marginal" rating in the small overlap frontal test. But the 3-Series does maintain good occupant-safety ratings, including mostly "Good" ratings from the IIHS and a five-star overall rating from the federal government. Base prices for the 3-Series tend to be fairly reasonable, starting in the mid-$30,000s and rising almost to $50,000. Standard equipment is somewhat sparse in the entry-level 320i, though, and we don't imagine you'll find many 3-Series cars without a few pricey options on dealer lots. The Sport Line's cosmetic enhancements are now standard on the 328i, 328d, and 340i, and there are a host of desirable amenities in Luxury, Premium, Cold Weather, and Technology packages. Driver Assistance packages are also available. New this year is a Track Handling package with sport-tuned steering and suspension, alloy 18-inch wheels, and brakes with distinctive blue calipers. With six engine choices, two powertrain options and two different body styles, nailing down the 3-Series' fuel economy is predictably hard to do. The most frugal pick is the 328d turbodiesel powerplant that manages up to 32 mpg city, 42 highway, 36 combined in rear-drive. The thirstiest is the 340i with all wheel drive and a manual that's rated by the EPA at 20/29/23 mpg. The base 320i in rear-drive with an automatic is rated at 24/36/28 mpg. 2016 BMW 3-Series sedans and wagons provide the quintessential sporty experience, which is somewhat softened in the larger Gran Turismo hatchback. There's nothing flashy about the design of the 2016 BMW 3-Series sedans and wagons. Styling is just right: clean, classic, and elegant, with a sporty flair. When compared to 3-Series designs of the past, the current models look longer and sleeker, with a rising belt line that cuts through the sheet metal alongside the doors and helps visually lower the hoodline. In profile, it's a refreshing break from the trendy wedge we're seeing in so many competitors. BMW slightly revised front and rear fascias for 2016. Headlights and taillights now have a more distinctive signature when illuminated, air intakes are wider, and bumpers have been reshaped. The overall effect is aggressive, but handsome. There's also the 2016 3-Series Gran Turismo, a five-door hatchback with significant dimensional differences: nearly 8 inches longer overall, about 4 inches longer in wheelbase, and about 3 inches taller. 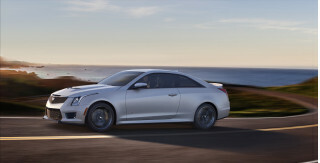 Frameless windows, a large hatchback, and a rear spoiler, along with the coupe-like profile, push this model in a new direction that appears as one third fastback, one third wagon, and one third crossover. While its shape and sheet metal are unique, it's still instantly recognizable as part of the 3-Series family. We like the fact that the dashboard's design eschews retro cues with a clean, horizontal instrument panel broken only by a freestanding display monitor. It's adorned with elegantly understated aluminum or wood appliqués. The 3-Series can be equipped with many different trim lines and appearance packages, but try before you buy because they tend to make a greater difference inside and some combinations can be visually startling. The Sport Line, optional last year, is standard on the 328i, 328d, and 340i. There's also an M Sport package and—new this year—a Track Handling package notable for brakes with distinctive blue calipers. Expect confident handling and excellent dynamics regardless of the 2016 3-Series model you choose. The BMW 3-Series has long set the performance benchmark for compact sport sedans. That continues to hold true, even as it has become slightly softer and competitors have gotten much better. The current 3-Series lineup offers several turbocharged engine choices. To start, there are two variants of a turbocharged 2.0-liter inline-4: it makes 180 horsepower and 200 pound-feet of torque in the entry-level 320i, while rising to 240 hp and 260 lb-ft of torque under the hood of a mid-range 328i. Horsepower dips to 180 with the four-cylinder turbodiesel in the 328d, but torque checks in at a healthy 280 lb-ft. Under the hood of the new range-topping 340i is an all-new turbocharged 3.0-liter inline-6 that produces 320 hp and 330 lb-ft of torque. The 335i Gran Turismo retains last year's 300-hp six-cylinder engine. Manual transmissions are still widely offered in the 3-Series lineup, rather than being reserved for entry-level or high-end trim levels. If you prefer a 6-speed manual to an 8-speed automatic, it's a no-cost option for most 320i, 328i, 340i models. (Only the 328i xDrive is automatic-only.) Sport-model automatics come with special programming for faster shifts, and in sedans with the 8-speed it’s so good out on the racetrack that we might actually choose the automatic over the manual. You don't have to worry about turbo lag with any 3-Series engine. Boost comes on so quickly and seamlessly it's easy to forget they aren't normally aspirated. The engine note, for instance, is just about the only giveaway that a 328i—with peak torque at only 1,250 rpm—isn't powered by a larger-displacement 6-cylinder engine. You'll get a driving experience that fully lives up to long-held standards for handling and dynamics whether you choose a sedan or a wagon. The Gran Turismo is more oriented to comfort, though it's still confident and responsive, and we'd take it over a taller crossover. The 328i is probably our pick of the lineup for a balance of power, fuel economy, and sticker price. It works well with an automatic transmission, churning out torque in the low-to-mid rev range; with a manual transmission it will zip to 60 mph in 5.7 seconds. BMW has put tremendous effort into making the 3-Series more fuel efficient, and the EPA rates the 328i at 35 mpg on the highway, when equipped with an automatic. The outgoing 335i wasn't much quicker than the 328i, but the new 340i certainly is with a 0-to-60 mph time in the mid-four-second range. And this isn't even an M3, with its twin-turbocharged 3.0-liter inline-6 making 425 hp and 406 lb-ft of torque. A special M-DCT dual-clutch gearbox and Active M Differential make a dreamy pair on the track, but we can't help but think we'd rather have the precise-shifting manual for ours. All 3-Series cars now get an electric power steering system that loads and unloads nicely, and gives you—when you finally reach the 3’s impressive limits of grip—a little feedback from the road. We'd only wish for a better sense of the roadway surface before you approach those limits, which is what the hydraulic steering provided. A premium variable sport steering option permits easier parking along with sharper handling by altering the ratio mechanically, avoiding the digital transitions that can make electric power steering systems frustrating. 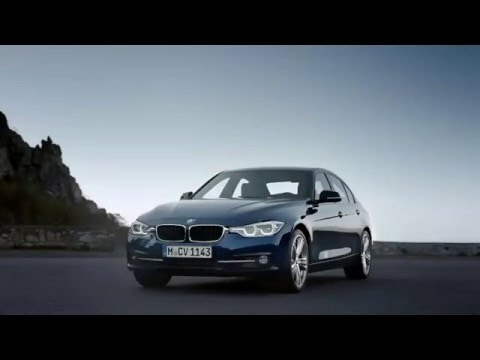 Driving Dynamics Control is included for the entire 3-Series lineup. With a rocker switch that’s right beside the driver’s knee, you can toggle between Eco Pro, Comfort (default), Sport, and Sport+ modes. With Sport, you get sharpened steering response, delayed shift points, and such, while Sport+ allows more slip from the stability control. BMW offers a variety of sport-tuned options that can add seriousness, if not outright punch, to the lesser cars. There's an available M Sport package that drops ride height for sedans by 0.4 inches, firms up springs and dampers, and includes larger anti-roll bars along with larger 18- or 19-inch M alloy wheels. A new Track Handling package for gasoline-powered models includes variable sport steering, the Adaptive M Sport suspension and brakes with distinctive blue calipers. While these packages do offer improvements you can feel, they aren't necessary if you're looking for good ride quality combined with satisfying, crisp control for all but serious track use. The 2016 BMW 3-Series wagons and Gran Turismo provide more utility, but the sedans have good trunk space, too. Although its dimensions have grown considerably in recent years, the 2016 3-Series is still very much a compact sport sedan. That means you'll find plenty of space up front, where a wide range of adjustability enables almost anyone to find a comfortable position—this is true whether you choose the base seats or upgraded Sport seats with extending thigh bolsters and stronger side bolstering. The rear seat is a different story. While there's now enough space for adults, and it's fine for short trips around town, taller passengers will still come up short on leg room. We'd like a wider trunk opening, but space is good, and with the right option package you can move your foot under the rear bumper to open the trunk when your hands are full. The Sports Wagon provides much more utility, and offers an appealing compromise for active families who want an engaged driving experience and a good measure of practicality. The Gran Turismo may look, simply, like a hatchback variant of the sedan and wagon, but it's actually a much different car with a longer wheelbase, extra height, and interior volume that's nearly midsize. There's a higher driving position, and while rear-seat passengers gain several inches legroom they also encounter limited headroom thanks to a sloping roofline—a design element that also restricts space in the rear cargo area. In all variants of the 3-Series, you get the latest version of iDrive, which uses a controller on the center console to navigate menus for non-essential functions. It's much more intuitive than earlier versions of the system, and we don't see it as a deal-breaker, yet you'll want to spend some time getting a tutorial at the dealership. What we do like very much, however, is the capacitive touch pad atop the controller—a cool feature that allows you to trace out letters, for instance when specifying a destination. We can't fault ride quality in nearly any 3-Series model. Sportier wheel and tire combinations may diminish the isolation you'd experience in a standard 328i with higher-profile tire, but not by much. And that's not something we could say about many 3-Series rivals, where the ride in performance-oriented competitors can get downright harsh. Likewise, though road noise is evident on coarser surfaces, the BMW's cabin stays much quieter than many rivals. The 2016 BMW 3-Series doesn't have impeccable crash scores, but its available active-safety set helps make up for that. Any 2016 BMW 3-Series should provide good occupant protection in most crashes. Federal safety authorities have given the 2016 3-Series a five-star overall rating, including four star frontal and five-star side impact ratings. The 2016 BMW 3-Series only managed "Marginal" scores in the IIHS small overlap frontal category—corresponding to a higher chance of injury in such a crash. 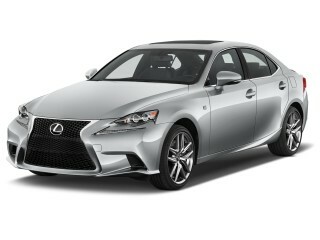 However in most other test areas from the IIHS, this model has earned top marks. In the IIHS small overlap test, which simulates what happens when the front corner of a vehicle collides with either another vehicle or an object such as a utility pole or tree, sends the vehicle into a five-foot-tall rigid barrier at 40 mph, lining up the vehicle so that the barrier is struck by 25 percent of the total width of the vehicle. A host of driver assists are available, but they tend to be optional rather than standard. A Driver Assistance package includes a rearview camera and rear parking sensors, while the Driver Assistance Plus package adds a surround-view camera, blind spot monitor, lane departure warning, speed limit data, and an active collision mitigation system. The 3-Series receives the IIHS "Advanced" rating in front crash prevention, when equipped with the Driver Assistance Plus package and its Collision Warning with City Braking function. That package also adds a surround-view camera, blind spot monitor, lane departure warning, speed limit data, and an active collision mitigation system. A 2016 BMW 3-Series doesn't come cheaply, but with à la carte options you can get what you want without paying for anything you don't. With a starting price in the mid $30,000s, the entry-level 320i comes with a relatively sparse list of standard features for a premium-brand car. They include automatic headlights and wipers, dual-zone automatic climate control, Bluetooth phone and audio, faux-leather SensaTec upholstery, and 17-inch wheels. Upgrading to the Premium package brings leather seats, power front seats with driver-side memory, satellite radio, keyless ignition, a hands-free trunk lid, a sunroof, and auto-dimming heated mirrors. There are also Cold Weather, Driver Assistance, and Lighting packages. A Sport package adds features such as 18-inch wheels and sport seats, while a new Track Handling package features an adaptive sport suspension, sport-tuned steering, and brakes with blue calipers. In addition to a more powerful version of the turbocharged 2.0-liter inline-4, the 328i comes with more standard features than the 320i—but the differences aren't notable and option packages are similar. Starting in 2016, Sport Line features are standard starting at the 328i level. 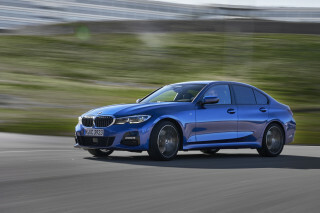 The 340i, with a starting price in the high $40,000s adds the new turbocharged 3.0-liter inline-6 and lots of standard equipment such as 18-inch wheels, LED headlights, a sunroof, power sport seats, a 16-speaker Harman Kardon sound system, keyless ignition, and a hands-free trunk lid. You'll still have to pop for the Luxury package to get leather, though. Key packages include M Sport, Track Handling, Technology, and Driver Assistance or Driver Assistance Plus with a full slate of assists. The Gran Turismos—328i and 335i—have base prices that range from the high-$30,000s to mid-$40,000s. They tend to mirror the standard and optional equipment found on the 328i and 340i sedans. Most options can be ordered à la carte, so cars can be tailored to personal wants and needs—just be aware that each box you tick sends the MSRP ever skyward. Fuel efficiency is pretty good for sport sedans, there's a highly efficient diesel, and a 330e plug-in hybrid with a projected 70+ MPGe is slated to make an appearance soon. The 2016 BMW 3-Series delivers plenty of performance, but not at an undue cost to the environment. Even the 340i with a turbocharged 3.0-liter inline-6 is rated for 33 mpg on the highway, according to the EPA. Things just get better with the lineup's other engines, with highway ratings of 35 mpg for the 328i, 36 mpg for the 320i, and 42 mpg for the 328d. What's more, with a relatively judicious use of the accelerator pedal, it's often possible to achieve these numbers in real-world driving conditions. The entire 3-Series lineup enhances fuel efficiency with a start-stop system that shuts the engine off at stop lights; this happens only when automatics are in drive or manuals are in gear with clutch and brake pedals depressed. A Brake Energy Regeneration system, used in some models, further reduces fuel usage by delaying aggressive alternator usage until you brake. You'll also save gas with an Eco Pro mode that softens throttle response, shifts earlier, and makes accessory operation more efficient. BMW is dropping the ActiveHybrid 3 for the 2016 model year. 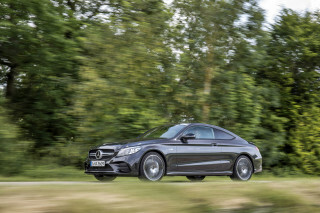 It will be replaced by a plug-in hybrid called the 330e. According to early ratings from the EPA, the 330e will manage only 14 miles of electric-only power, 72 MPGe, with a combined rating of 31 mpg. An extreme pleasure from Start button to Stop button! There's nothing this car can't handle from twisty turns in sport mode, to around town driving in comfort mode to economical highway driving in eco-pro mode. Comfortable for 4 adults and plenty of trunck space... There's nothing this car can't handle from twisty turns in sport mode, to around town driving in comfort mode to economical highway driving in eco-pro mode. Comfortable for 4 adults and plenty of trunck space for luggaage and golf clubs. The F in the F series is for fun! A car for the positive minded business individuals. Perfect car for somebody in his early '50s. The GT is, despite many critics, a genuine BMW that tries to please as many as possible.